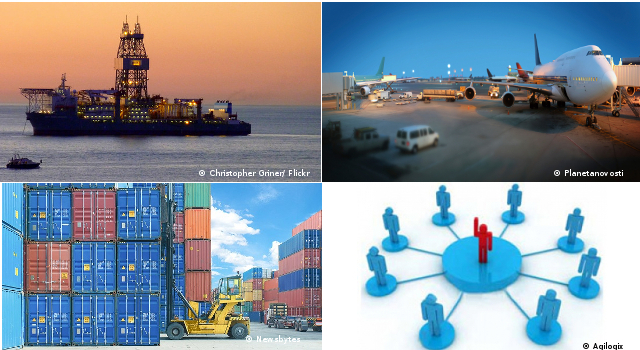 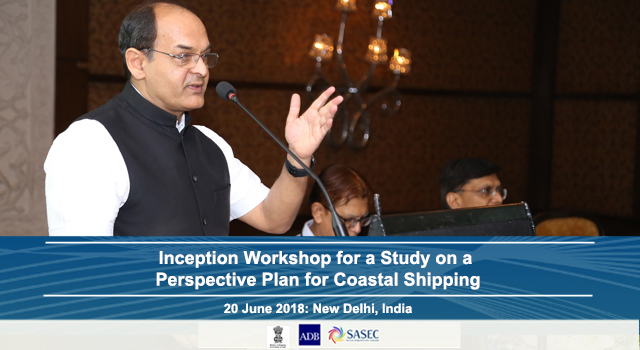 The Government of India aims to increase the share of coastal shipping and inland waterways transport in total freight movement to 12% by 2025 from 6% in 2015. 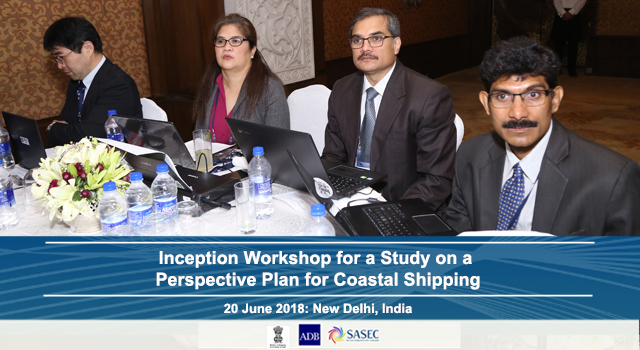 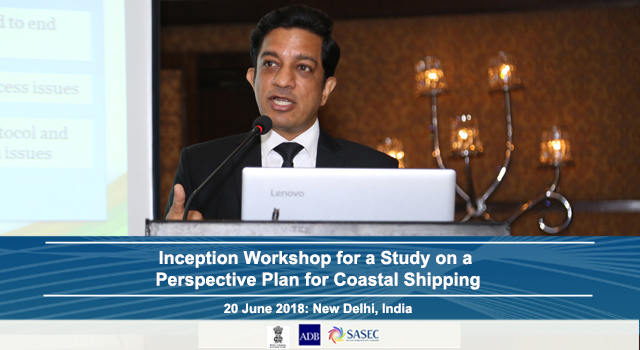 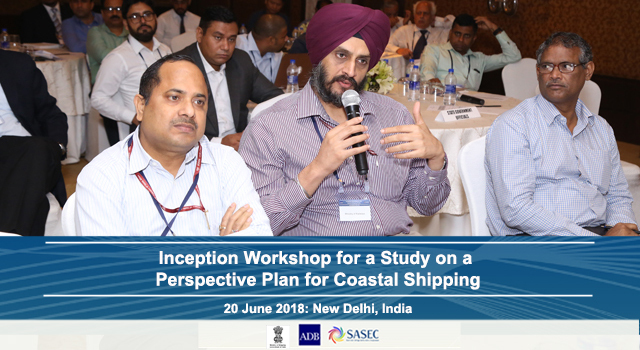 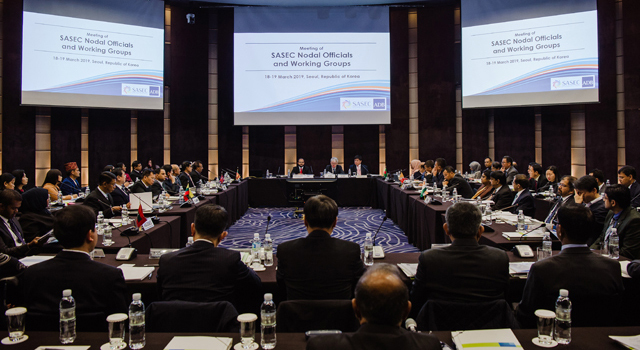 In line with this, the Asian Development Bank (ADB), in collaboration with Ministry of Shipping (MoS) of the Government of India, held an inception workshop for a study on a perspective plan for Coastal Shipping on 20 June 2018 in New Delhi, India. 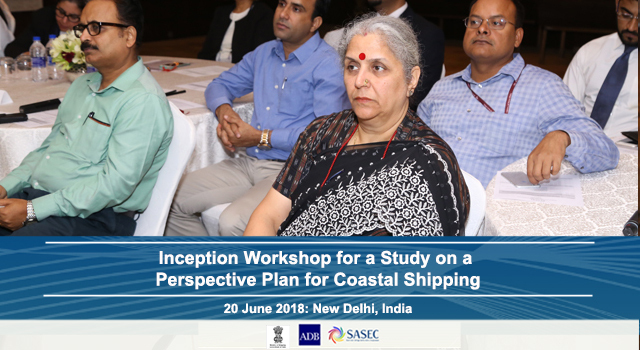 The proposed Study will assess key constraints to the development of coastal shipping, and formulate practical and actionable recommendations. 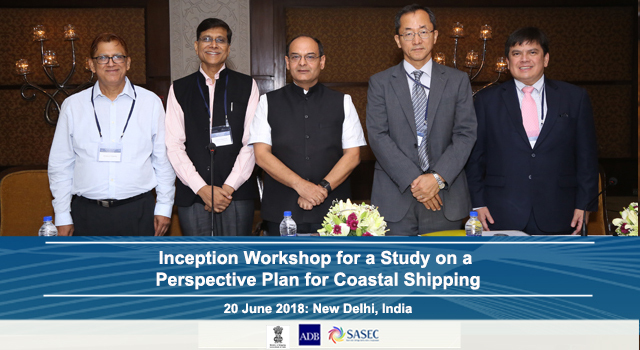 The Study is expected to be completed by December 2018. 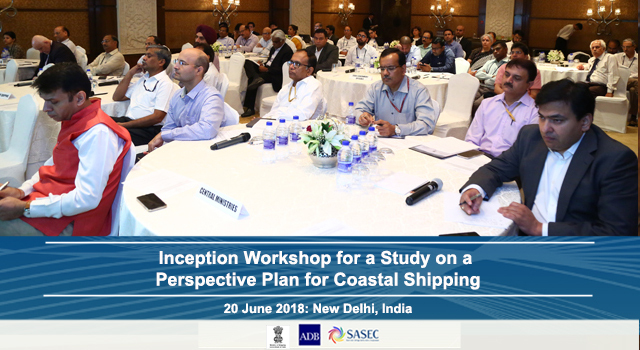 Agreed on a timeline of activities and expected outputs. 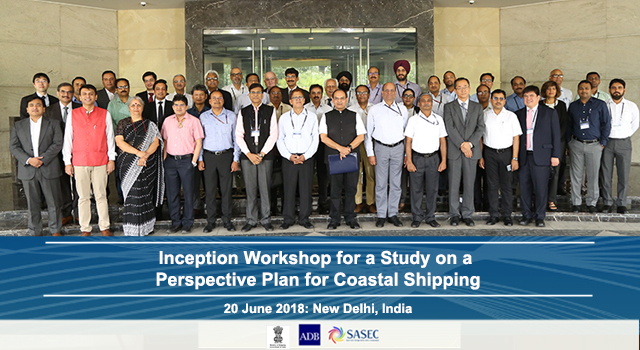 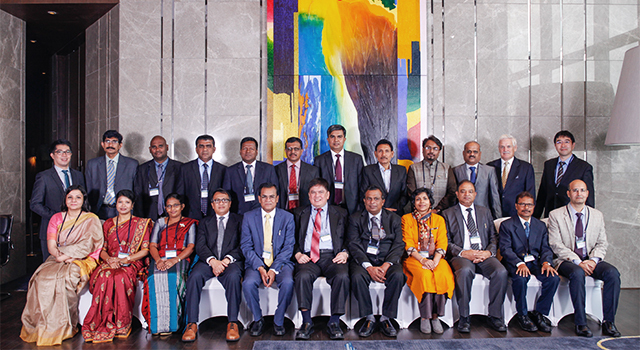 The Workshop was attended by 55 participants, including representatives from the MoS; relevant nodal agencies and line ministries, such as the Ministry of Steel, Ministry of Railways, Ministry of Road Transport and Highways, Ministry of External Affairs, Ministry of Power, Department of Economic Affairs, Department of Fertilizers, Ministry of Labor and Employment; central agencies, shipping associations, and private sector delegations. 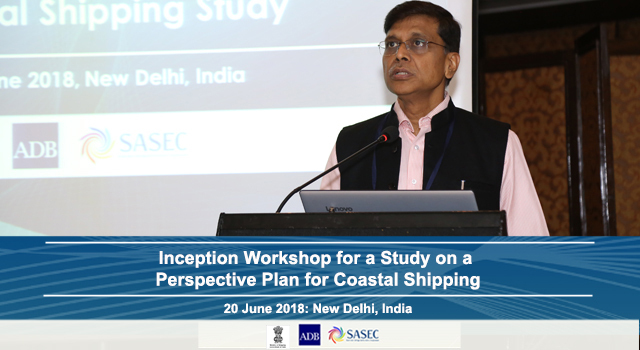 Mr. Sanjay Bhatia, Chairman, Indian Ports Association, delivered the keynote speech. 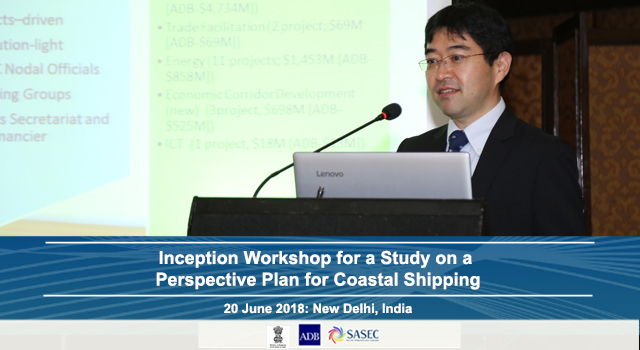 Mr. Kenichi Yokoyama, India Country Director, ADB, gave opening remarks. 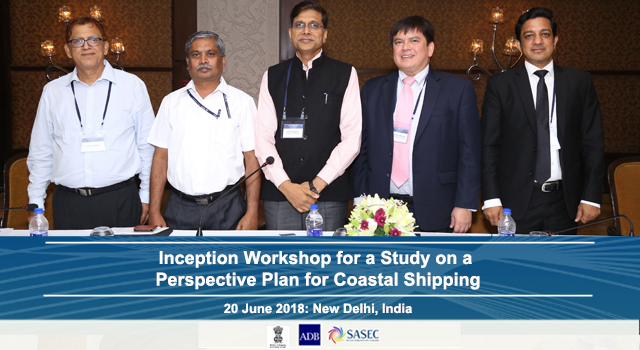 Mr. Kailash Aggarwal, Joint Secretary, MoS, chaired the workshop. 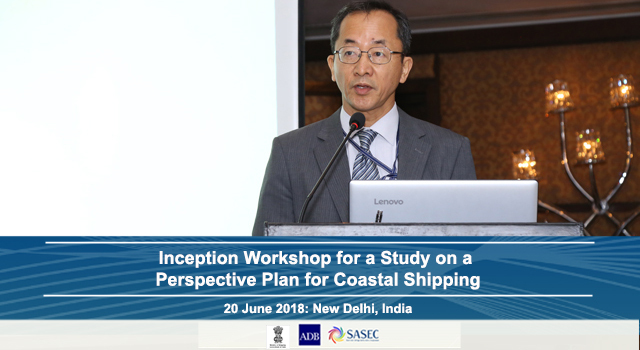 Mr. Ronald Butiong, Director, South Asia Department, ADB, gave concluding remarks.